West Houston Muscle was a club on a mission last weekend. They hosted their third Blast to the Past After Hours on the westside of Houston and wanted to draw a crowd, and they succeeded. The event was from 7:00 pm to 11:00 pm, held at night in August because they reside in Texas, where the temperature can get scorching hot in the summer months. Having the sun go down before the car show kicks into full gear is a very good option, allowing for a break from the heat and an opportunity to enjoy the cars. 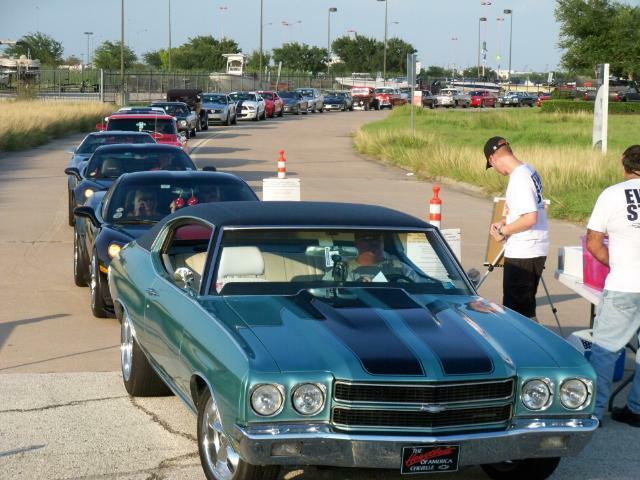 The nighttime meet was suppose to begin at seven, but by six thirty in the evening there were already 50 cars in the lot of Caliber Collision Center, the location of the event, and there was a line of cars waiting to get in at the gates. The club welcomes cars of multiple generations, makes, and models, and strives to create a family environment for their meet where car enthusiasts of all generations can come and enjoy each others company. Due to this, the variety of cars was an awesome sight along the side of the freeway. Whether you’re a car owner or just admirer and enthusiast, all are invited in on the fun with the West Houston Muscle crew. 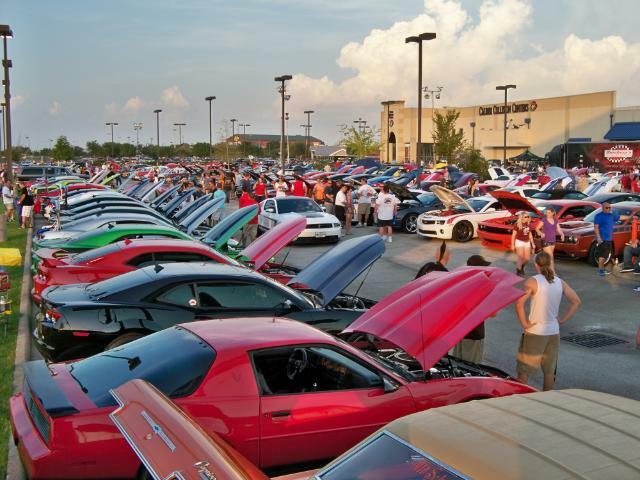 By 8:00 pm the lot was full of 763 cars being displayed and enjoyed. There were also several vendors on location; everything ranging from auto-related companies and supplies to local businesses and shops selling their wares. Monster Energy was even there passing out free drinks to participants and spectators. The event was well organized and fun to attend. And, if they get many more cars attending the next one, they are going to have to expand into another lot to have enough space!